SIPTU members working as social care workers and social care leaders in County Galway have called on the Minister of Health, Leo Varadkar, to honour a Labour Relations Commission (LRC) proposal in a dispute concerning the payment of monies owed to them for evening work. SIPTU Organiser, Mark Lohan, said: “Social care workers and social care leaders elsewhere in the country have always been paid increased rates of pay for work between 8.00 p.m. and midnight. He added: “Following discussions at the LRC during July, an agreement was reached on a plan to resolve the issue of the monies owed for unpaid ‘twilight payments’ to our members in the Galway area. The HSE and Department of Health have not signed off on the LRC proposal, preventing SIPTU from presenting it to our members for ratification. “Due to the position taken by the HSE and Department of Health our members were regrettably left with no option but to commence industrial action. “The workers are now calling on the Minister of Health, Leo Varadkar, to personally intervene so they are not forced to escalate their industrial action. SIPTU has launched a new Health Care Sector at a conference in Dublin which was addressed by the Minister for Health Leo Varadkar today. Sector Organiser Marie Butler said that the new sector for health care assistants has been set up in response to the growing demand for representation for this group of ‘hands on’ health workers. She also set out a list of proposals that would lead to the professionalisation of the ‘Health Care Assistant’ across the Irish health service. Speaking at the conference, Mr Varadkar said the role of health care assistant has become increasingly important, as nursing and midwifery has become more specialised. SIPTU Health Divisional Organiser, Paul Bell, said that the Minister has been very receptive towards the future role of the health care assistants. “In order for Health Care Assistants to be a position to respond to the future demands it will be necessary to first of all professionalise these front line health workers. These workers are the only group to provide ‘hands on’ patient care who not to be registered by a regulatory body. Ann Marie Tibby, SIPTU Shop Steward and Chairperson of the Health Care Assistant Committee said without SIPTU empowering health care assistants over the last ten years this day would not have been possible. SIPTU supports a decision of the Emergency Department Taskforce to ensure Home Helps have a minimum of 30 minutes with each client in which essential care can be provided. SIPTU Health Division Organiser, Paul Bell, said: “The SIPTU Home Helps campaign for additional hours and the full utilisation of their existing contracted hours has succeded in securing this key improvement for clients. Paul Bell also called for further action to end the practice by some private nursing home operators of “cherry-picking” patients for accommodation and requesting additional fees for admission. The decision to allow Home Helps a minimum of 30 minutes with patients was made at a meeting of the Emergency Department Taskforce in Dr. Steeven’s Hospital, Dublin, this afternoon (2nd February). 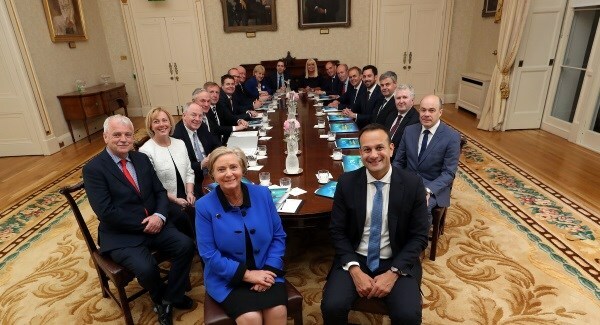 The taskforce comprises relevant stakeholders including senior doctors, lead hospital consultants, HSE National Directors, union representatives and senior officials from the HSE Acute Hospitals Directorate and the Department of Health. Minister for Health, Leo Varadkar, convened the Taskforce on 22nd December 2014, to find long-term solutions to the issue of hospital overcrowding.